You don’t even need to go around the corner to find the Shop Around The Corner! On our last visit we saw we have a new neighbour. A shop on George Street selling quite a mixture of things, from cake making bits and pieces, spices, gifts, cards, and lots of local ciders. I’m not sure how many people decide they want to bake a cake when they are staying in our cottage but cider on tap just down the road does sound convenient! 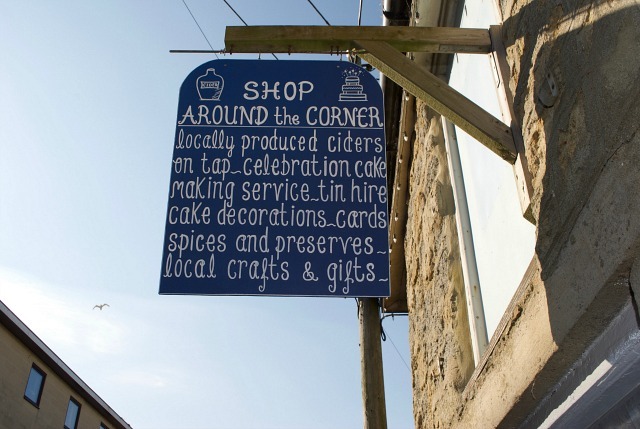 Shop around the Corner is a friendly, bright, colourful shop full of lots of quality handmade crafts. Well worth a visit, especially if you are looking for something different for a present. Hightly recomended.